Around December 21st, during the winter solstice when the days are short and darkness blankets the northern stretches of our vast continent, I’m grateful for a splash of colour. 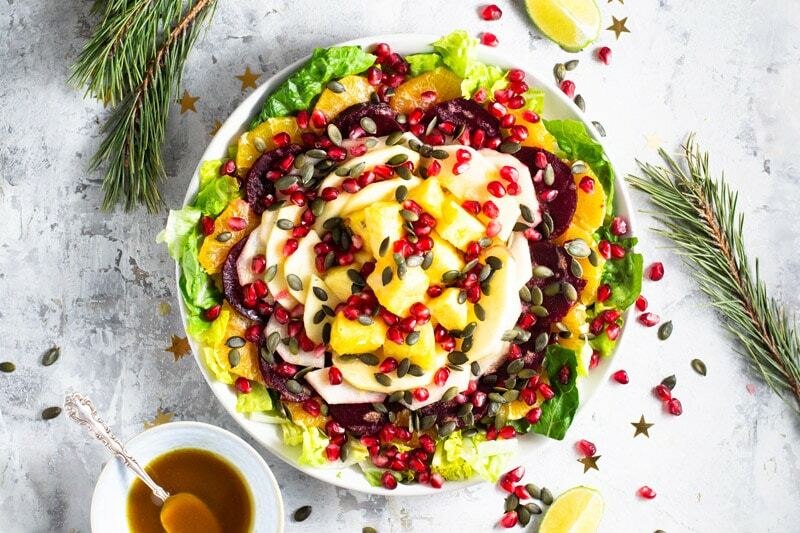 And Ensalada de Nochebuena — a traditional salad of beets, pineapple, pomegranates and oranges — enjoyed on Christmas Eve throughout Mexico, is guaranteed to lift your spirits. 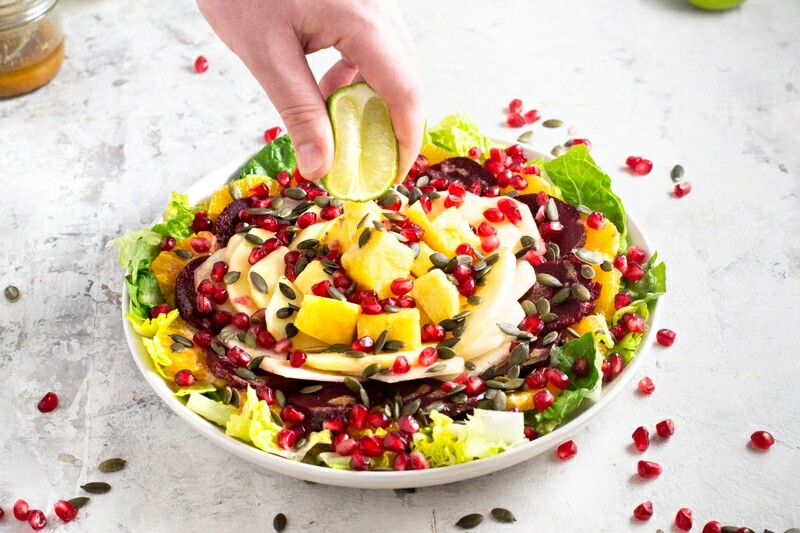 Another reason to make Ensalada de Nochebuena is that December also happens to be pomegranate season! Pomegranate season typically runs from the end of October through to early February. Packed with Vitamin C, fibre and antioxidants, pomegranates have a burst-in-your-mouth flavour that’s as invigorating as an early morning walk on a white sand beach. 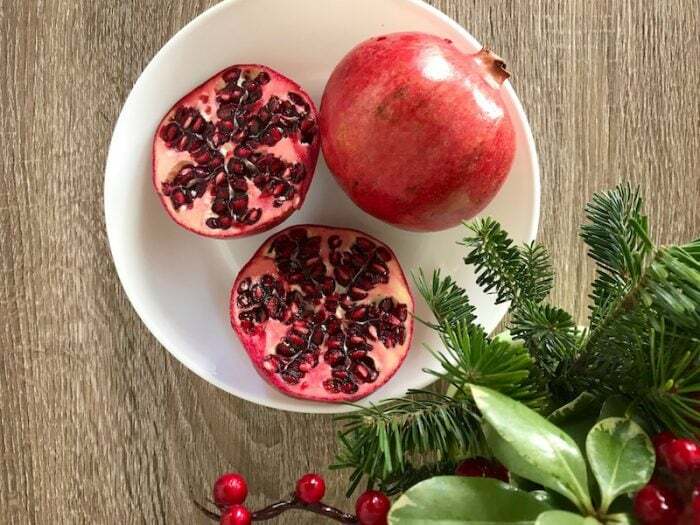 Fun Fact: Did you know that the tiny red jewels of nectar holding the seeds inside a pomegranate are actually called arils? These pockets of juice are also packed with fiber. So eat them whole and impress your friends by using “aril” in your next game of Scrabble. 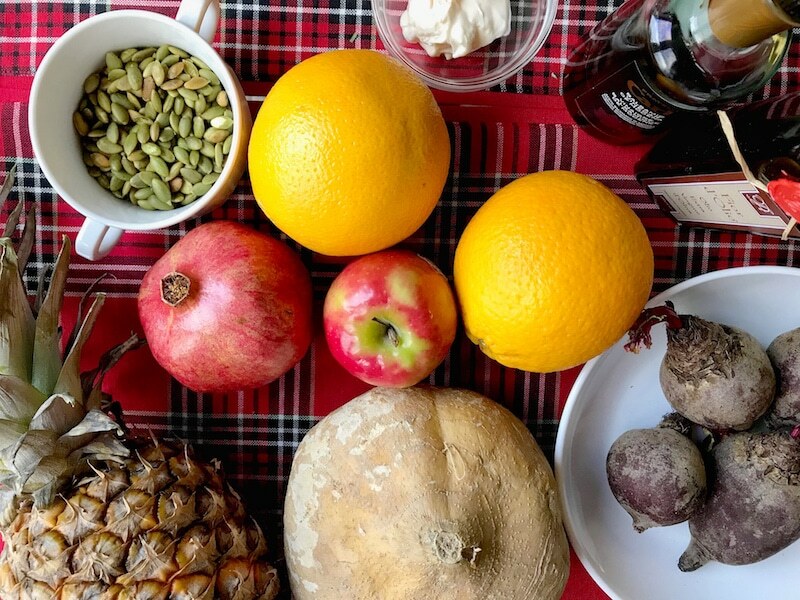 Other key ingredients in Ensalada de Nochebuena Mexicana include pepitoria (raw pumpkin seeds that will be toasted and sprinkled on top), fresh oranges, firm cooked beets, apple and pineapple. In Mexico, it’s also traditional to include jicama, the edible root that’s also known as the Mexican turnip or potato. However, if you can’t find jicama and are tempted to substitute either turnip or potato for jicama, don’t do it! A jicama isn’t as starchy as potato and has a mild flavour almost like an apple. Tip: Your best bet if you can’t find any jicama at your local market, is to omit it or substitute something completely different such as a chopped green apple or thinly sliced fennel. Fennel will add a completely difference flavour to the ensalada but it adds a nice white crispness which helps with the composition. It’s a Italian variation to serve salad of beets, organes and fennel. You can substitute fennel ( shown here in the middle of the platter) for jicama if needed. The light anise flavour and bright white flesh of fennel is actually a surprisingly delicious addition to this salad. 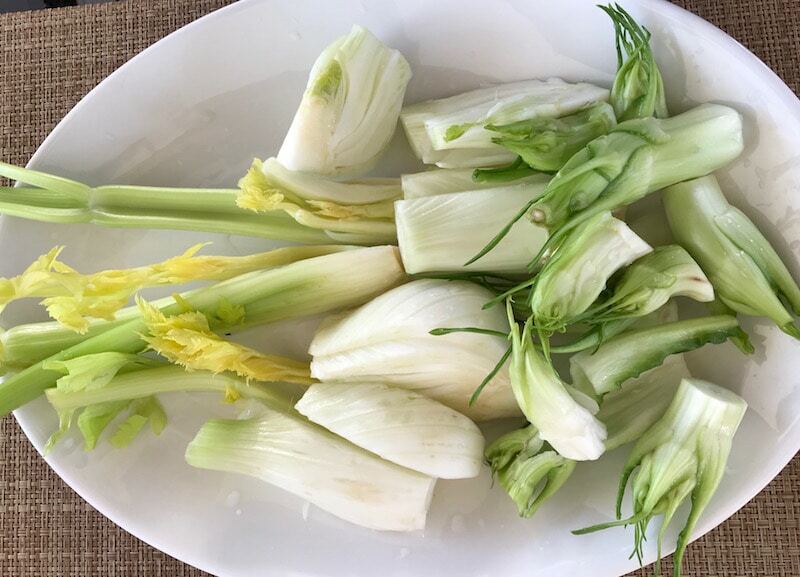 The key if you do plan to use fennel is to use only the inner sections and slice it very thinly. When selecting your oranges, opt for seedless oranges. 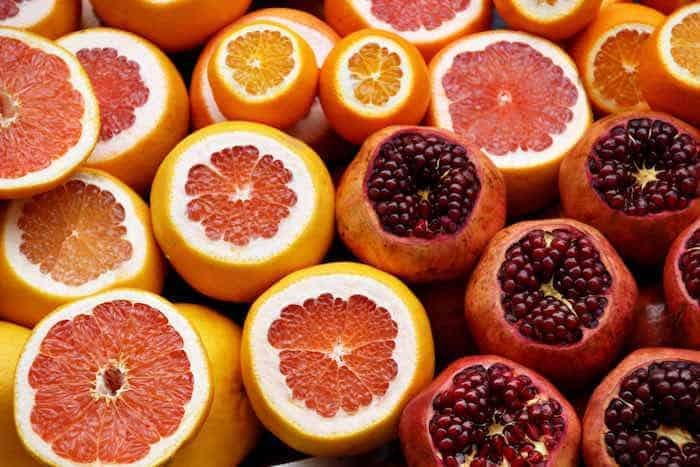 You can go for any combination of citrus fruits such as blood oranges and grapefruit or even mandarin oranges. The secret is to make sure you remove all the pith. Tip: When slicing pineapple for this recipe, save the husk of your fresh pineapple to use for authentic Guatemalan Ponche de Frutas. There are as many variations of Ensalada de Nochebuena as there are cooks but I prefer to make mine a composed salad so that the colours from the beets and the pomegranates don’t run over the other ingredients. 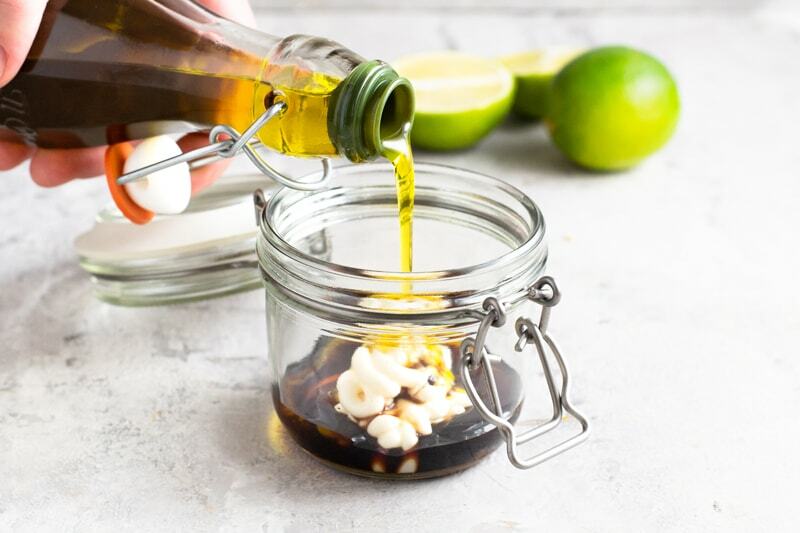 Once you’ve prepared and composed the fruit for your salad, whip up the salad dressing in a separate bowl. A popular variation of the Ensalada de Nochebuena features jamaica (from the dried hibiscus flower). 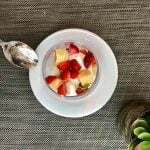 The tart liquid is added to the chopped ingredients for a different, much juicier fruit side dish. For this recipe for a composed Ensalada de Nochebuena, just pour the salad dressed over the composed fruit and vegetables. You don’t need to stir it. 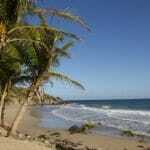 Squeeze fresh lime juice over the salad to add a burst of freshness and to help prevent the apples from discolouring. Sprinkle with pomegranate seeds and pepitoria. If you have any leftovers, you can simply mix the fruit and vegetables together and you get to enjoy both versions — composed and mixed! 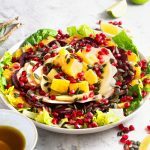 What I like most is that this pomegranate-laced salad is refreshingly different than anything else you’ll eat (such as tamales) during Navidad in Mexico or Guatemala. It’s also incredibly easy to make, low in fat and packed with vitamins and minerals. There’s no reason to make this Ensalada de Nochebuena recipe only during the Christmas holiday season. The jewelled colours of this salad make it a beautiful side dish for New Year’s Eve or even Valentine’s Day. It’s so bright and cheerful it positively bursts with happiness. 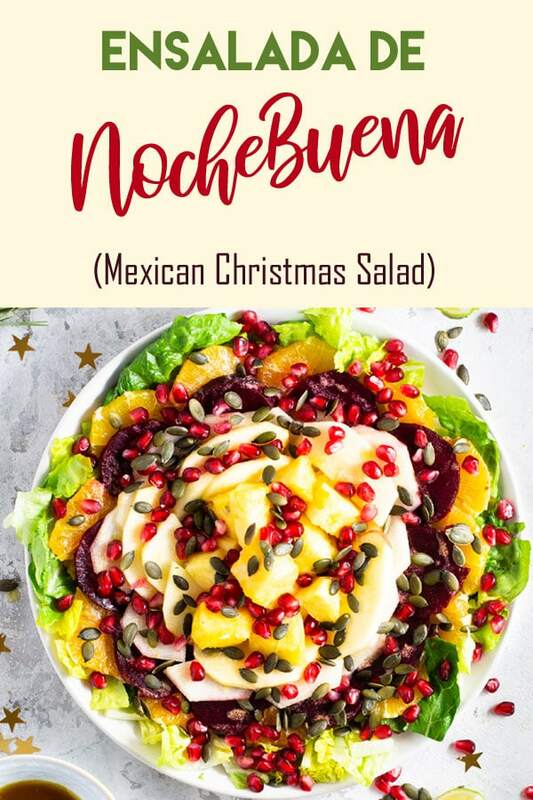 If you’ve tried this recipe for Ensalada de Nochebuena, please rate the recipe and let me know how the dish turned out in the comments below. I’d love to hear from you! 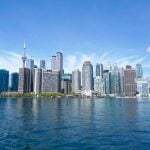 You can also FOLLOW ME on FACEBOOK, TWITTER, INSTAGRAM and PINTEREST to see more delicious recipes from the world’s most fascinating food, drink and sun destinations. An easy, cheerful salad traditionally served on Christmas Eve in Mexico but delicious any time. If you have extra pomegranate seeds just store them covered in the refrigerator for up to three days. Unopened pomegranates stay fresh in the fridge for up to three weeks so stock up while they're in season! Extend this salad by using mixed greens as a base. 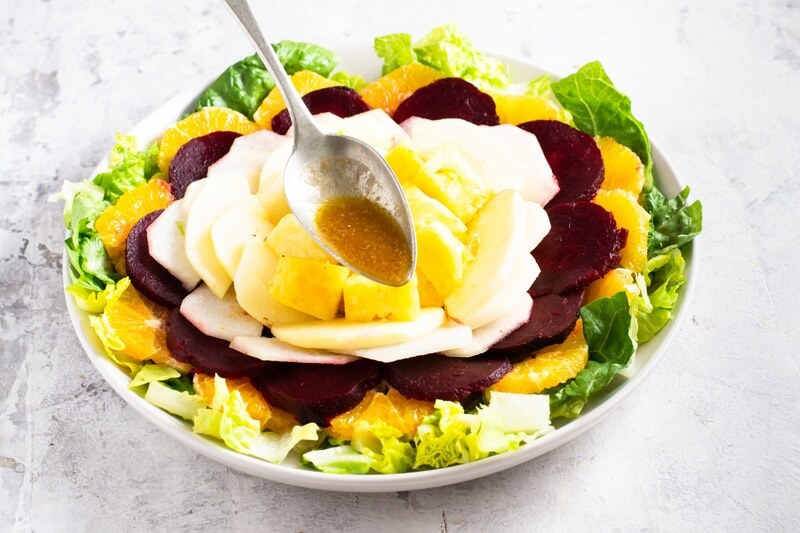 Just double the dressing, toss the extra with baby kale or arugula salad and layer the beets, oranges and other fruit on top. Mmmm the Ensalada de Nochebuena looks so colourful and delicious. I think I’ll try this for New Years! The name of the salad alone won me over! What great color! This looks delicious and since I live in Mexico (San Miguel de Allende) I have easy access to all the ingredients. I’ve been looking for a good lunch recipe to serve for a workshop I’m teaching soon that will include vegetarians and vegans. I think I just found it! Thanks Michelle! Looks really good, and would really hold the winter chill at bay up north. Have to give it a try. 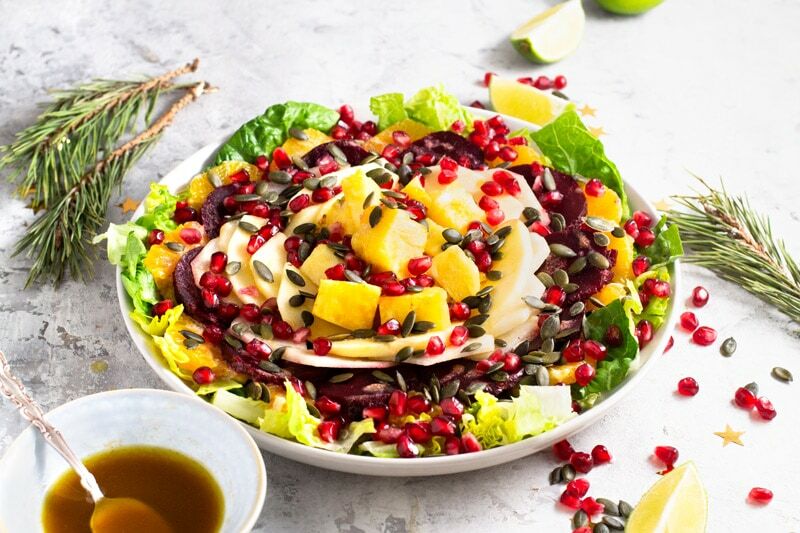 This beautiful salad also looks like a perfect New Years Day meal. 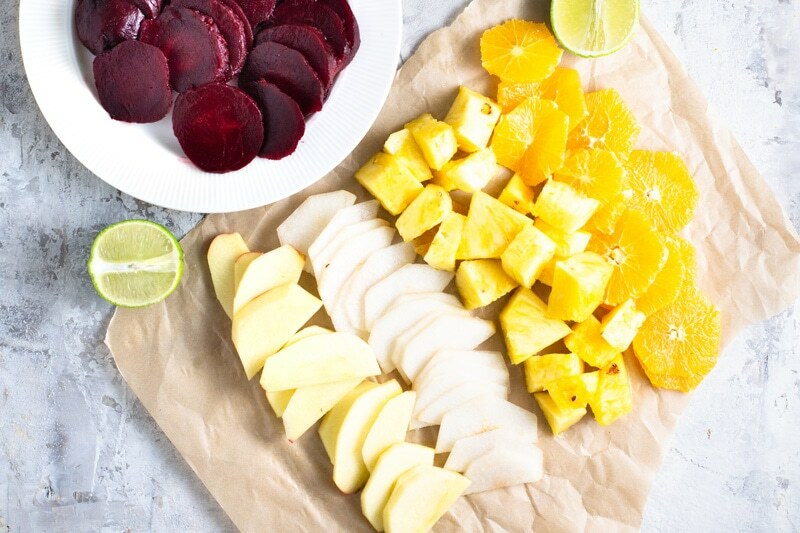 Lots of healthy and tasty fruits can’t wait to try it.